Juvederm® helps to fill in collagen in the skin. It helps to restore appearance. Juvederm® is the number one selling filler on the market. It is a hyaluronic acid (HA) filler. It lifts the cheeks, smooths lines, and gives plumper lips. The results are long-lasting and subtle. See the results for up to 2 years after treatment. It’s a naturally occurring substance that gives the skin nutrients. It helps the skin retain softness and moisture. The functional medicine specialists at BioDesign Wellness are proud to offer Juvederm® treatments for clients in South Tampa, FL. Juvederm® is an injectable filler. People use it to reduce wrinkles, fine lines, facial scars such as acne scars, lifts sagging skin and changes the shape of the nose. Juvederm® is FDA-approved and generally regarded as safe. It can work to restore a youthful, round shape to the face. The procedure takes a few minutes and the results are long lasting. It is an alternative to surgery and other fillers. Young, healthy skin has plenty of hyaluronic acids. The hyaluronic acid in Juvederm® is cross-linked. It replenishes the supply of hyaluronic acid in the areas where it is injected. The dermatologist injects Juvederm® into the skin with a precise needle. It is a smooth gel. It is made through biosynthesis and patients do not need to pass an allergy test before using it. The doctor will apply a topical anesthetic cream to reduce the pain of the injection. It comes in a variety of formulas with different strengths depending on the patient’s needs and where the filler is injected. There is no downtime associated with the use of Juvederm®. The XC means that lidocaine has been added to the formula to further reduce pain. The Injectable gel filler adds volume to cheeks. It also can be used in nasolabial folds to smooth out the appearance of skin. Lifts and contours the cheeks to take up to five years off of the patient’s appearance. It is a non-surgical solution to provide a fuller look. Sculpts the face to provide a subtle yet noticeable change. The increase in volume will reduce the look of wrinkles. The fine needle targets specific areas to add volume. It’s the first injectable filler that instantly works to enhance fullness in the cheek area. 3.5 mL is enough to change the look or appearance of the skin. A little bit is enough to last for up to 24 months. It pops up the skin more than similar amounts of other fillers. It is less likely to cause bruising than other dermal fillers. This is because it is injected underneath the blood vessels. Voluma is less painful than other dermal fillers. Juvederm® Ultra Plus fills in lips that are thinning or are naturally thin. It gives patients a naturally looking enhanced appearance. 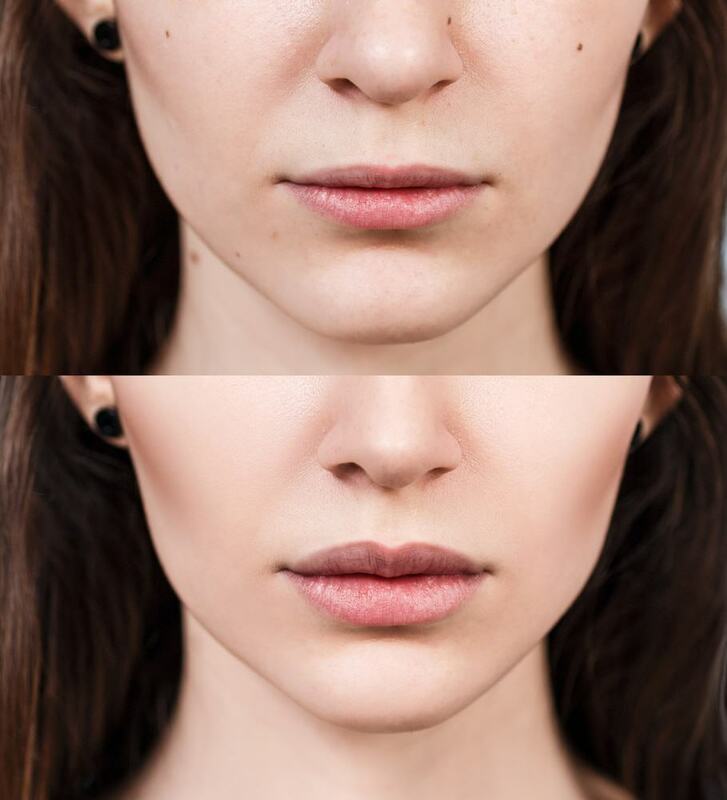 Juvederm® Ultra Plus can also help reduce the look of lines. Patients use Juvederm® Ultra Plus to have fuller looking lips without surgical enhancement. The difference between Juvederm® Ultra and Juvederm® Ultra Plus is the size of the particles in the filler. Juvederm® Ultra has smaller sized particles than Juvederm® Ultra Plus. Juvederm® Ulta is softer than Juvederm® Ultra Plus but it lasts for less time, around 6-9 months. Book an appointment today and experience the BioDesign difference by clicking here or calling us at 813-445-7770. At BioDesign Wellness, our functional medicine staff’s goal is to help you feel better inside and look better outside.